Joni Mitchell, Keith Richards, Robert Johnson, Ani DiFranco, and Bob Dylan. What do they have in common? 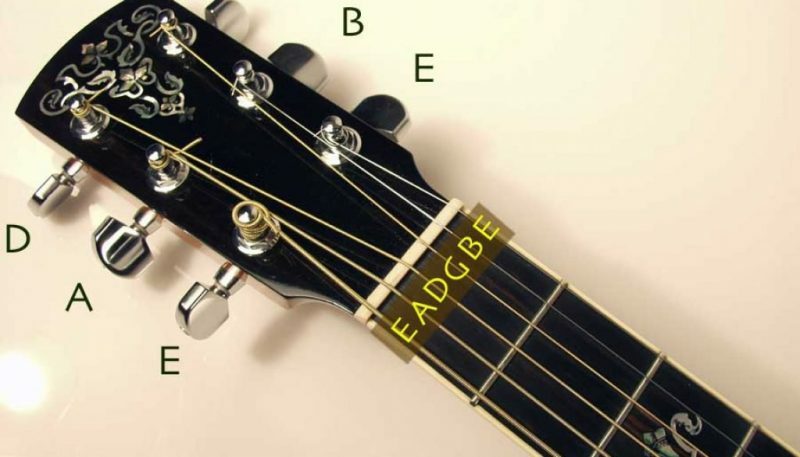 For one, they've experimented with alternate guitar tunings, going beyond the standard EADGBE tuning most commonly used by musicians. Keith Richards used the Open G tuning (GDGBD) to write some of the Stones' classic tracks--“Honky Tonk Woman,” “Brown Sugar,” “Beast of Burden,” “Gimme Shelter,” “Happy,” and “Start Me Up.” Try playing them in a standard tuning and they'll never sound quite right. If you're a guitarist looking for a different sound, spend some time with Warren Allen's Encyclopedia of Alternate Guitar Tunings. It's a handy resource. First created in 1997, this vintage web page presents a library of unconventional tunings, complete with a list of songs where they were artistically put to use. Enter the Encyclopedia here.